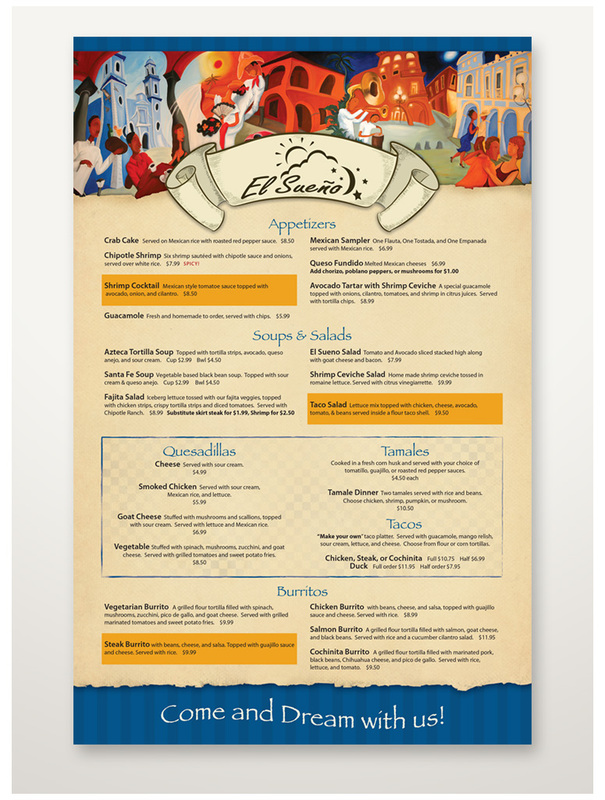 A menu I designed for El Sueno, a local Mexican restaurant. The images in the menu are actually photographs of painted murals within the dining space. One mural was over 20 feet long, and needed to be spliced together in Photoshop. 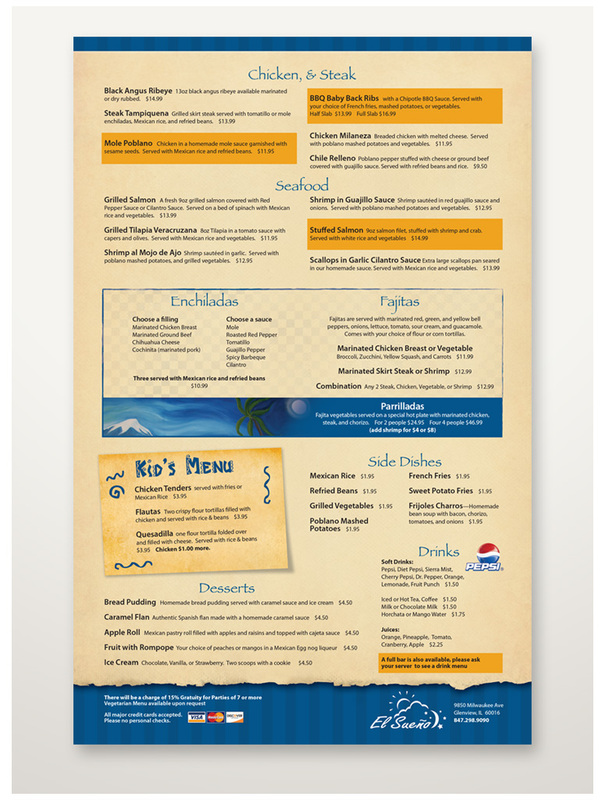 This really helped brand the experience and added a beautiful creative touch from the previously used generic, black and white menus.